The POS PC ATOM is an Intel Atom N270 platform POS PC with a 15" TFT LCD screen and integrated 5-wire resistive touch screen, designed for professional use in hospitality and specialty retail environments. Intel Atom N270 1.6GHz processor provides a High Performance, Low Power and Fanless design option with highest reliability, industrial grade and best performance-per-watt. Winmate always invests in the latest technologies to upgrade product quality and provide the best performance to meet customers' applications. 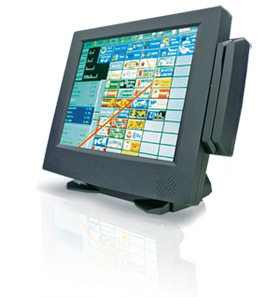 For the Atom series POS PC, it is built with innovative technologies to handle the customers' various applications.